5mm (H) hook & 4mm (6) hook. 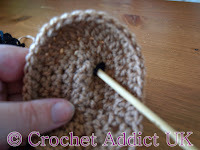 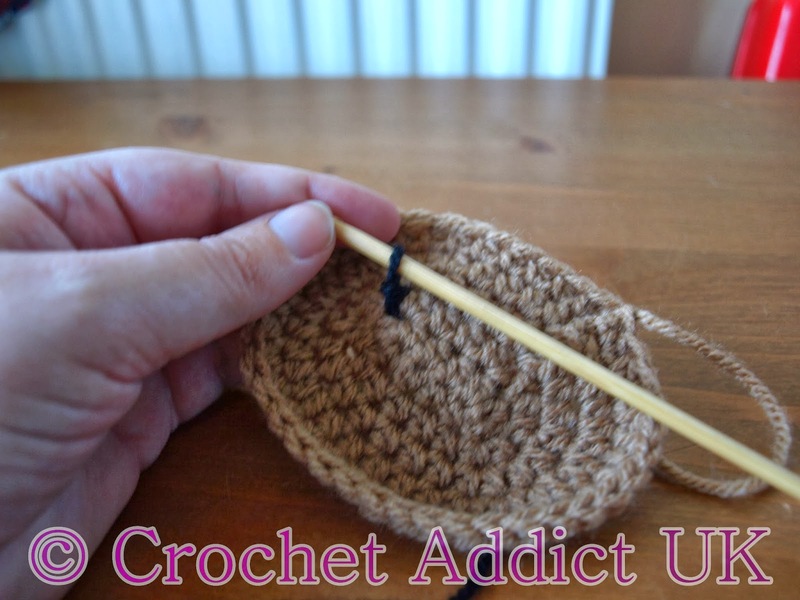 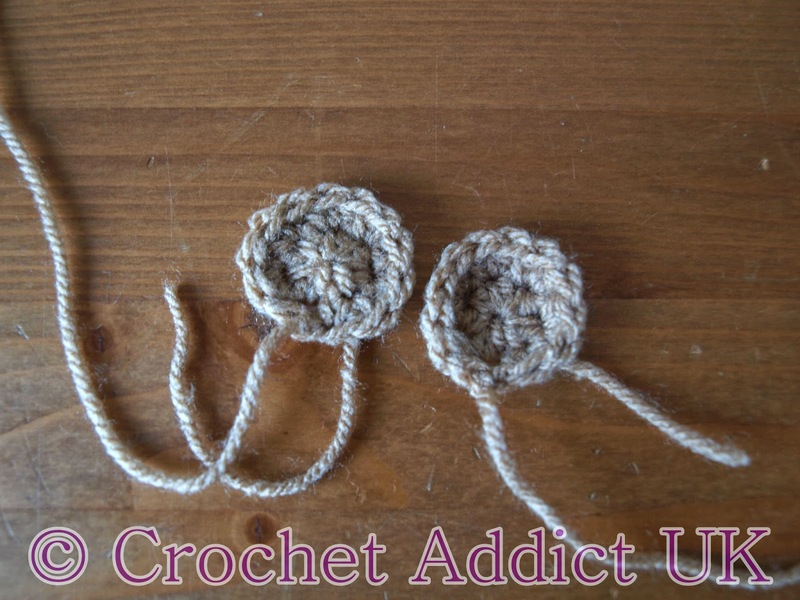 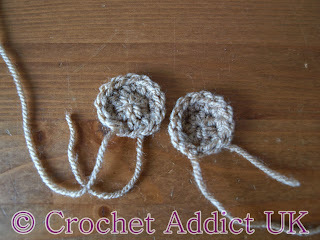 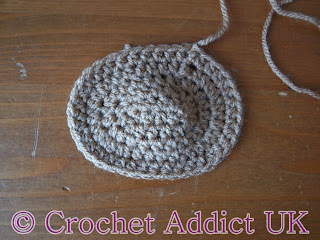 If you do not have a 4mm hook use a 4.25mm (G) hook instead. 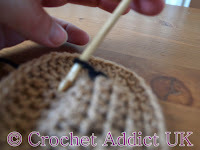 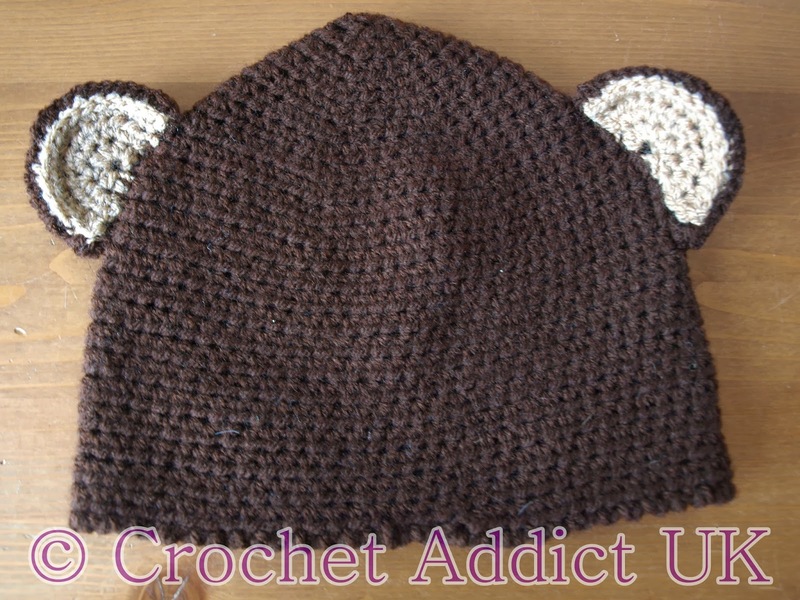 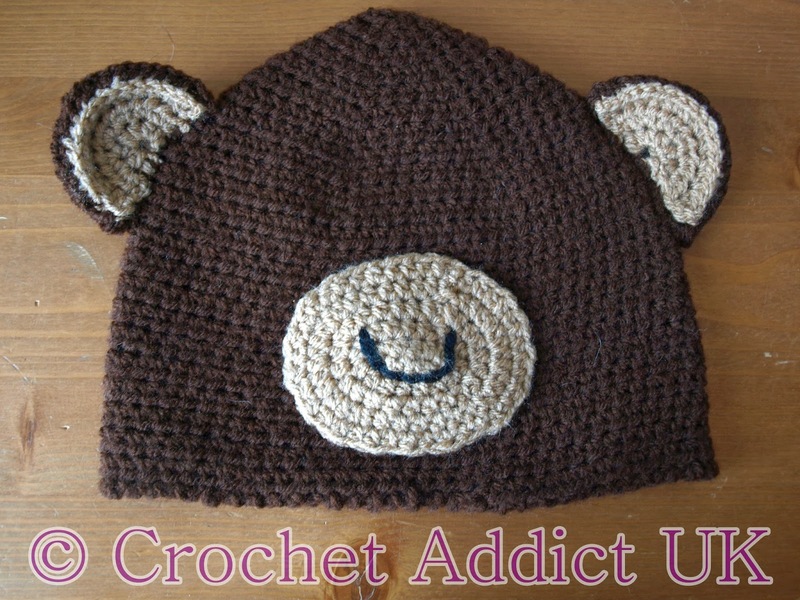 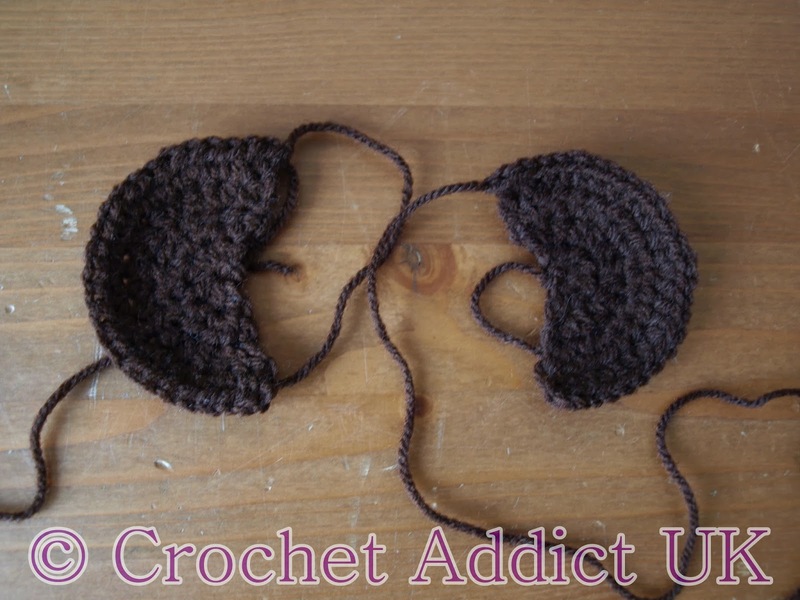 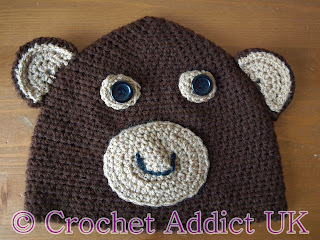 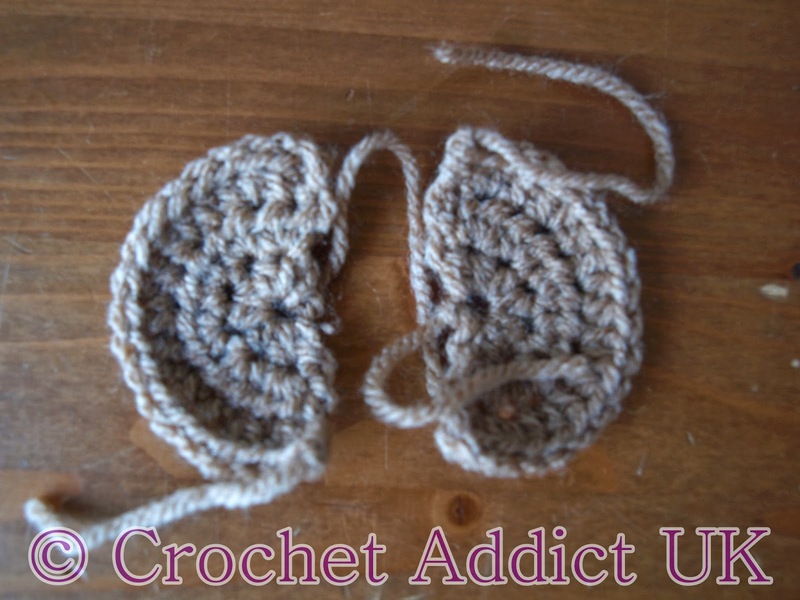 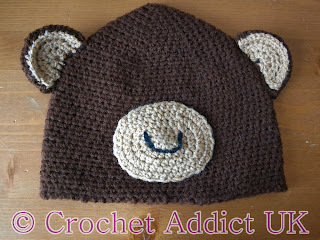 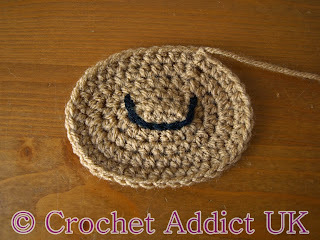 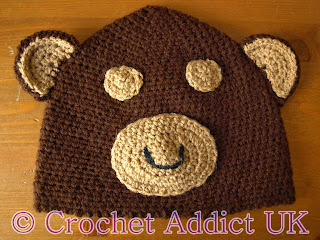 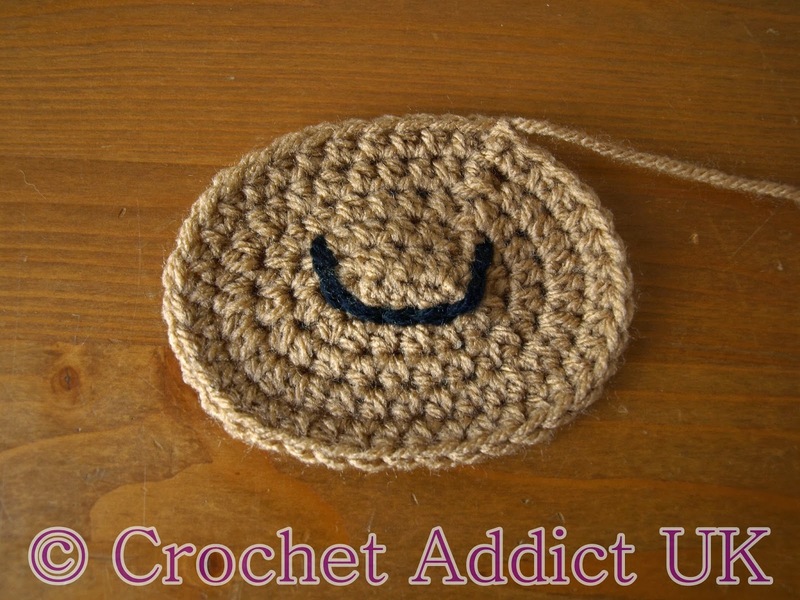 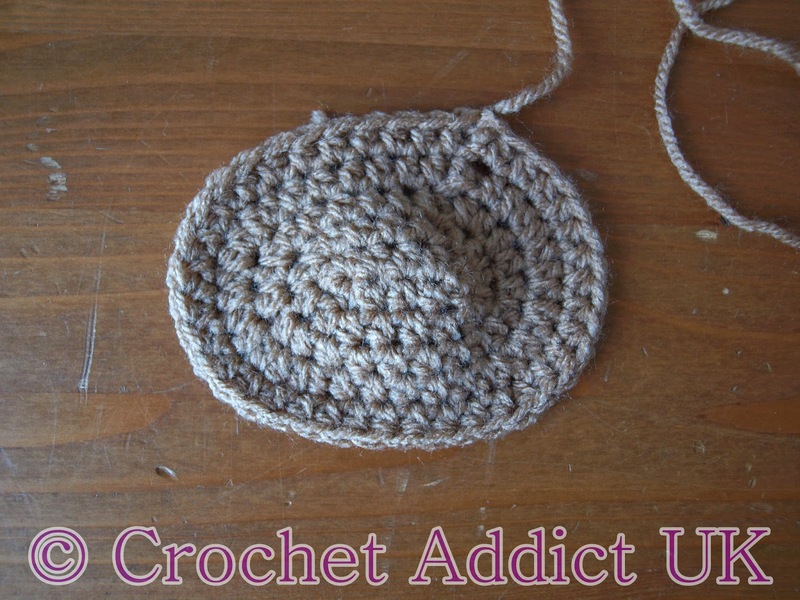 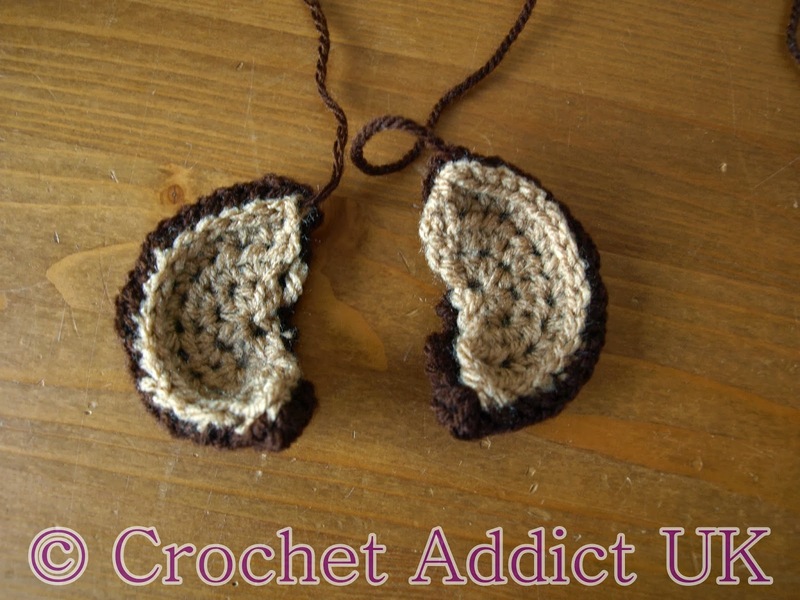 Using 5mm (H) hook and dark brown yarn. 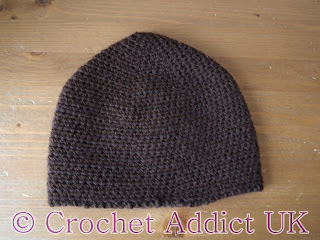 Round 5) Ch 2, hdc around, ss, finish ( leave enough yarn to attach to the hat). Before attaching you need to create the mouth.